Cap seal providing low friction and long service life over a wide range of light- to medium-duty bi-directional service applications. 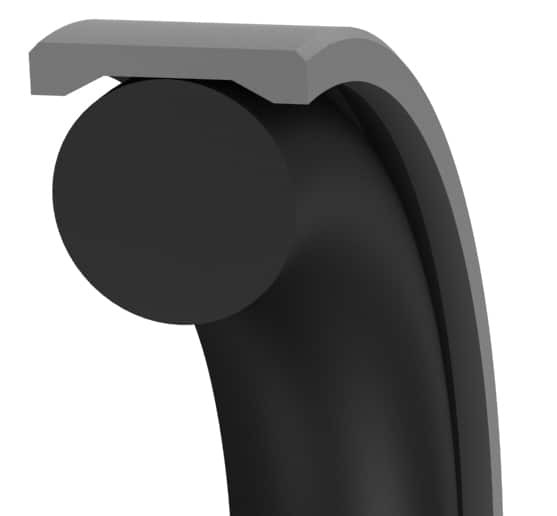 The K8E retrofits into standard O-ring grooves designed for no back-up, single, or two back-up rings without modification. The specially designed filled-PTFE cap resists extrusion and twisting of the O-ring under higher pressure. *Standard cross-sections(CS) listed and non-standard sizes can be provided for any shaft size up to 63 inches. Surface finish: Shaft (A) plunge ground, zero lead, Ra 8-16µin using elastomer seals, Ra 6-12µin using PTFE seals. Housing (D,L) Ra 32-63µin,shaft material hardness 55-65RC. See Technical Info for more specific information. *Standard cross-sections (CS) listed and non-standard sizes can be provided for any shaft size up to 1600mm. 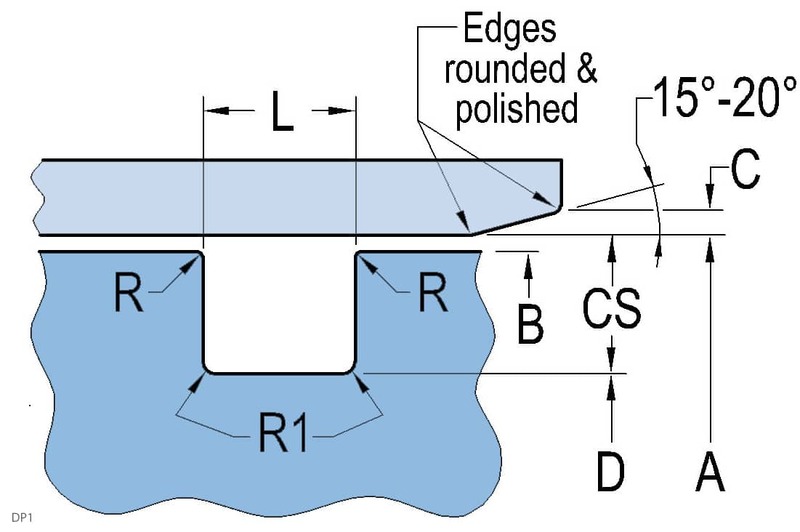 Surface finish: Shaft (A) plunge ground, zero lead, Ra 0.2-0.4µm using elastomer seals, Ra 0.15-30µm using PTFE seals. Housing (D,L) Ra 0.8-1.6µm, shaft material hardness 55-65RC. See Technical Info for more specific information.